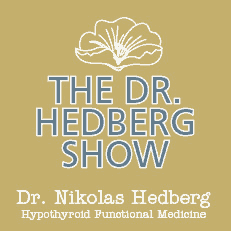 Hashimoto's Disease: The Infection Connection - Dr. Nikolas Hedberg, D.C.
Hashimoto’s disease can have many triggers including iodine, low birth weight, pregnancy, smoking, mercury, drugs, stress, leaky gut, environmental toxins, and of course infections. This article will focus on the connection between infections and Hashimoto’s disease. The infection connection and Hashimoto’s disease is something I have been investigating since 2005 when I first learned about the connection between Yersinia enterocolitica and Hashimoto’s disease. Since then, I’ve been researching the infection connection to Hashimoto’s disease and science continues to shed more light on this area. The vast majority of my patients with Hashimoto’s disease do have some kind of active infection that has been shown to be connected to Hashimoto’s disease. Let’s go ahead and jump right into what the latest scientific literature has to say about this fascinating area of research. Why do infections trigger Hashimoto’s disease? Molecular mimicry is one explanation for bacterial trigger of the disease. 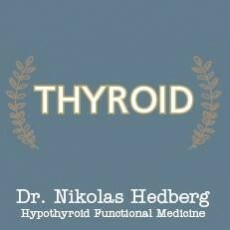 This basically means that the infection looks similar to your own thyroid tissue so your immune system launches an immune attack on the microbe and your thyroid. Yersinia enterocolitica is a classic example of this connection. Other explanations are complex immunologic mechanisms that I won’t go into detail here because of the technical nature of the material. 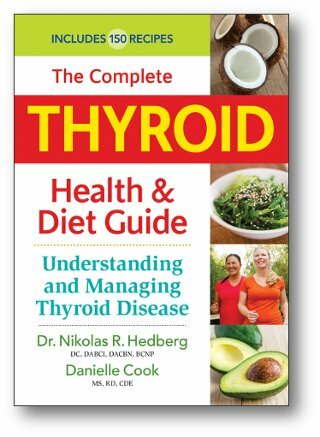 To put one mechanism simply, viruses can reside inside the thyroid gland which triggers immune activation against the virus and the thyroid. Epstein-Barr Virus and Human Herpes Virus 6 are examples of this mechanism. 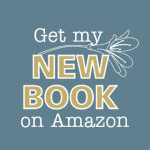 For those of you with a scientific background who would like to read more about the technical immunologic mechanisms, you can search for the phrases used in this quote, “Possible mechanisms by which infections may trigger thyroiditis include release of sequestered antigens by cell destruction or apoptosis, exposure of cryptic epitopes, molecular mimicry, or via a bystander mechanism resulting in activation of resident T- cells.” This quote is taken from this paper freely available for you to research. Borrelia burgdorferi is the spirochete that causes Lyme disease and there is some evidence that this bacteria is connected to Hashimoto’s disease. The data is limited at this point but with Lyme disease, there can be many other indirect factors and co-infections that could potentially be involved in triggering Hashimoto’s disease. Patients with Lyme disease also tend to have some of the predisposing factors to autoimmune diseases such as a compromised digestive tract, inflammation, and tremendous oxidative stress. I have written about and recorded a podcast previously about the connection between Yersinia enterocolitica and Hashimoto’s disease. There is good evidence of this connection so it is important to get tested if you have Hashimoto’s disease. This can be done with a stool test and/or blood test. I cover this connection in detail in this article and podcast. The Hepatitis C virus actually has the strongest infection connection to Hashimoto’s disease. In fact, studies have shown that this virus can actually reside outside of the liver inside the thyroid gland thus triggering autoimmunity. Can we be certain that the virus triggered the autoimmunity? 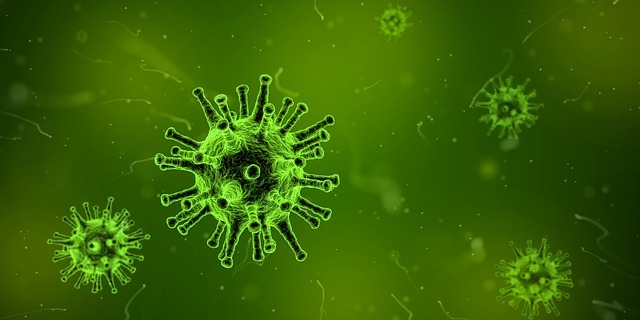 This can be difficult to make a definitive conclusion about the direct connection due to the interaction between the virus and the patient’s immune system. Some viruses like the Epstein-Barr Virus and Herpes 6 can be activated inside the thyroid gland but there is no immune response to them that we can pick up on through blood testing. This would require a biopsy of the gland and testing for specific viruses to see if they are present and active. This is not a feasible option nor is it really necessary. Genetic factors also play a role in how your body responds to viruses and the development of autoimmunity. What can you do if you have an infection connection to your Hashimoto’s disease? This depends on the infection. Any of the bacterial triggers in the GI tract such as Yersinia and H. pylori are very straightforward and I use various supplements and herbs to get rid of them successfully. Lyme disease is of course extremely complex so you would need to work with a “Lyme Literate” doctor who truly understands this condition. Viruses are difficult because they require the greatest number of interventions and changes for the patient to make. The immune system must be functioning at it’s best possible state to fully control viruses like the Epstein-Barr Virus. Too often patients are looking for supplements and herbs to take to address Epstein-Barr Virus but that never works. It requires a comprehensive approach addressing psychoneuroimmunology, gut health, hormones, stress, inflammation, insulin resistance etc. to be successful. 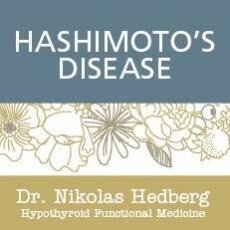 The infection connection to Hashimoto’s disease is alive and well and usually one of the most overlooked aspects of this condition along with childhood trauma. Be sure you’re having some of these infections checked if you’re trying to heal Hashimoto’s disease. You don’t need to have every single one tested. Your doctor should know based on your unique health history which ones you need.